What’s new with you, @JunDishes? While it hasn’t been too long since I featured @JunDishes in the Twitter Spotlight, she has been doing so much, particularly with her new venture Rice House that I was eager to bring you up to date. 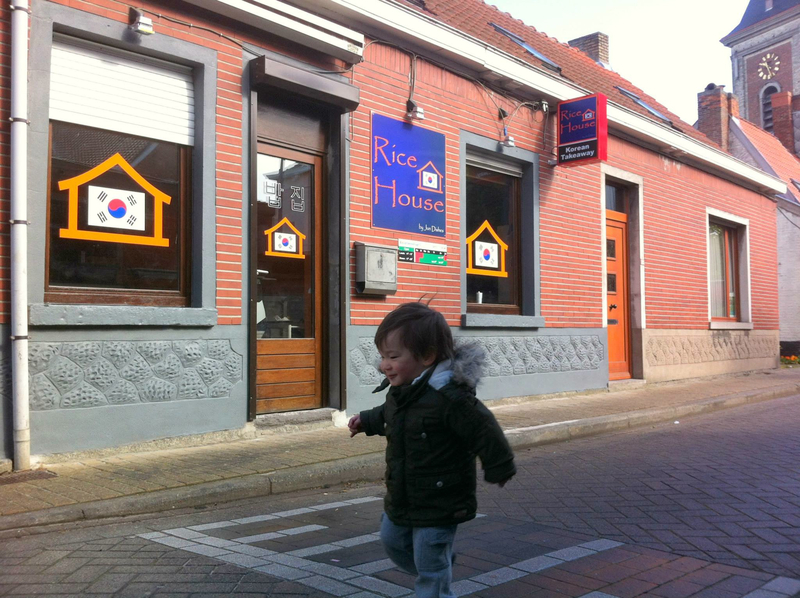 1 – I opened the very first Korean restaurant, a takeaway joint, in Flanders: Rice House. Aside from finances, Rice House is helping me share some of the Korean culture through food and conversations, with people here in Belgium. There are people still who associate Korea with only Kim Jong Un. Korea is about more than the division between North and South Korea. This is important to me because my son is half-Korean and at barely two-and-a-half, he recognizes already the Korean flag which adorns so much of Rice House. At home I raise Noah as a trilingual child of mixed heritage, but Rice House now makes it easier to show that to him in a real way. 2 – I passed the 10-year mark of my father’s passing. I don’t know why 10 years was such a big deal to me. But it was. I miss him more than ever actually because he’s not here to share in everything new in my life. But I know that 10 years after I once felt lost without him, I don’t feel so lost anymore. 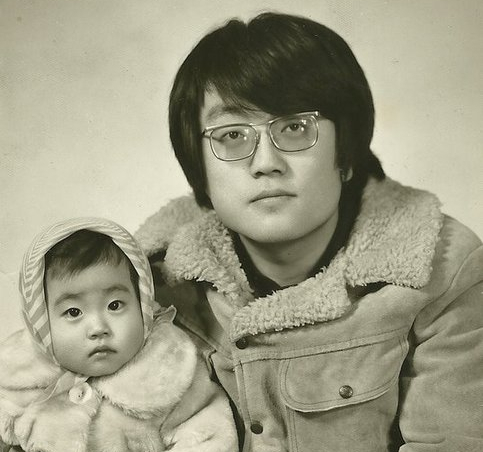 I have my dad to thank for that…for instilling in me my drive and focus and love of those most important to me no matter what country you end up living in. 3 – I’m starting to think about next year already. I’ll be turning 40. I want to do something big…something bigger than anything I’ve already done for myself. Because whatever it is I end up doing I don’t want to do for myself, but for others. I’m hoping I am inspired between now and 40 to give back in a big way to this world that is still in such turmoil everywhere. Whether it’s locally here in Belgium or somewhere else in the world, I want to do some good in some real way. Sadly, since Jun shared these updates, her dear grandmother passed away. Please go send Jun some love on Twitter or on Rice House’s Facebook page. This entry was posted in Twitter Spotlight and tagged #bb16, Belgium, Big Brother, Davy, Ghent, Jun Dishes, Jun Song, Noah, Rice House, turning 40, Twitter Spotlight on July 23, 2014 by onechicklette. As always, I enjoyed your blog and have no doubt you’ll give back to humanity in a big way, as you give to your blog readers. You give us your all, and I feel you always give your all, in everything you do. We all love you. I feel that most of us would extend our homes to you, as though you were our own child, sister or friend. How did you manage that? That’s a very big accomplishment you’ve achieved, just by being on TV, and then writing a blog! We got to know you in TV, and then kept up with you on a blog. You’ve introduced us to your new world and family, now we’re even loving little Noah, as well, in his adorableness! The relationship you have with strangers must be a unique situation, even in the “social experiment” (BB) world! Following the links in your blog post, I learned that your beloved grandmother passed away around July 17. I’m sorry for your loss, and of course, your mother’s and brother’s loss, as well. Are you keeping up with B16, and if so, who’re you rooting for? Wishing the very best for you in all you endeavor. Thank you so much for the kind words Deb! Good to know that I can crash at your house if I ever need to. 🙂 I’m not watching BB16 but I’m keeping an eye out for news and such. Hope you’re enjoying your summer!